Dr. Larry McKinney testified on federal saltwater fish management before a Senate subcommittee on Tuesday. Recreational anglers want reasonable access and quality fishing, not to maximize their take. 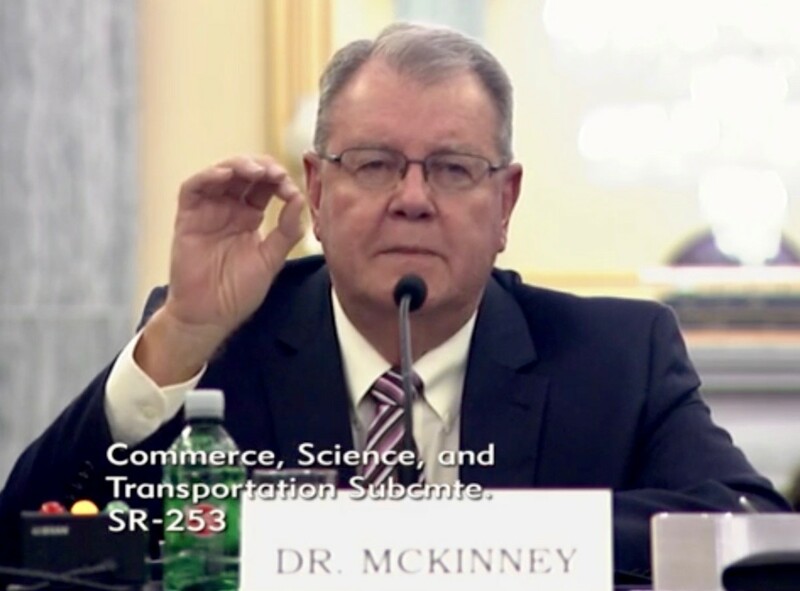 That was the position of Dr. Larry McKinney, one of four scholars from the scientific community to testify before the U.S. Senate Commerce Subcommittee on Oceans, Atmosphere, Fisheries and Coast Guard on Tuesday. Sen. Dan Sullivan, R-Alaska, held the final of four hearings to discuss reauthorizing the Magnuson-Stevens Fishery Conservation and Management Act, the law that provides guidelines for federal saltwater fishing and fish stock management. “Anglers simply want reasonable access and quality fishing, not maximizing their take,” McKinney said in his testimony. “Management of recreationally based fisheries cannot be accomplished by modifying management tools largely developed for commercial fisheries,” said McKinney, who is director of the Texas A&M University Harte Research Institute for Gulf of Mexico Studies. “My point is not to diminish the importance of commercial fisheries nor the effective management tools now in place because of the MSA, which have been key to assuring their sustainable future. Others testifying included Dr. Ray Hilborn, a professor at the University of Washington School of Aquatic and Fishery Sciences; Karl Haflinger, founder and president of Sea State Inc.; and Dr. Michael Jones, a professor at the Michigan State University Quantitative Fisheries Center. The full hearing can be accessed here. McKinney was chairman of the Morris-Deal Commission Working Group, which ultimately produced the Morris-Deal Commission on Saltwater Recreational Fisheries Management, said Jeff Angers, president of the Center for Sportfishing Policy. “The sentiment of the day was simply one-size-fits-all management doesn’t work,” Angers told Trade Only Today. “Every witness testified to that in their own words — from their own learned experiences, [and] from their own regions and around the country. The hearings come as the industry is supporting the “Modernizing Recreational Fisheries Management Act, or Modern Fish Act, which was introduced in both chambers of Congress earlier this year as S. 1520 and H.R. 2023. 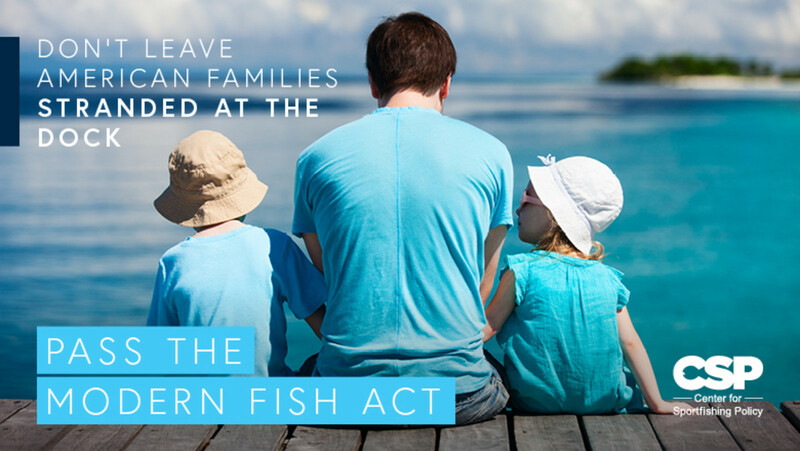 The Center for Sportfishing Policy is launching a social media campaign in support of the Modern Fish Act with sample tweets and content ideas for Facebook posts. The suggestions include photos, video and sample letters to send members of Congress. The bipartisan bill is based on recommendations gleaned from the Morris-Deal Commission, according to the National Marine Manufacturers Association. The NMMA, the CSA and other fishing associations, including the American Sportfishing Association and the Coastal Conservation Association, have joined with companies such as Yamaha Marine to promote the bill through a social media and ad campaign. The bill is expected to be marked up in the coming week or two.